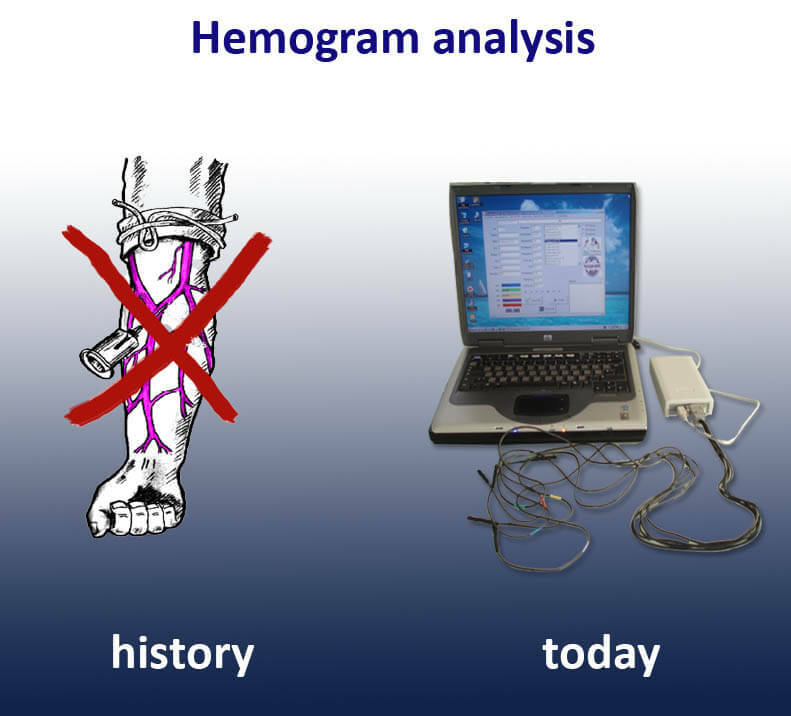 Noninvasive hemogram analyzer allows to make a complex test of the state of patient's organism during 180-720 seconds. It determines 130 biochemical, hemodynamic and immunological parameters of an organism. 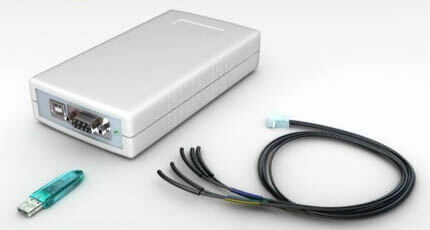 The measuring is made with 5 microprocessors, which are put at the reference points of human body. ANESA analyzer allows to carry out medical examination both in field screenings and ambulatory practice for lots of people very quickly, non-invasively, without stressing of the patient. The analysis is carried out without considerable expenses. Result of the analysis is being saved in a database for further statistical processing. 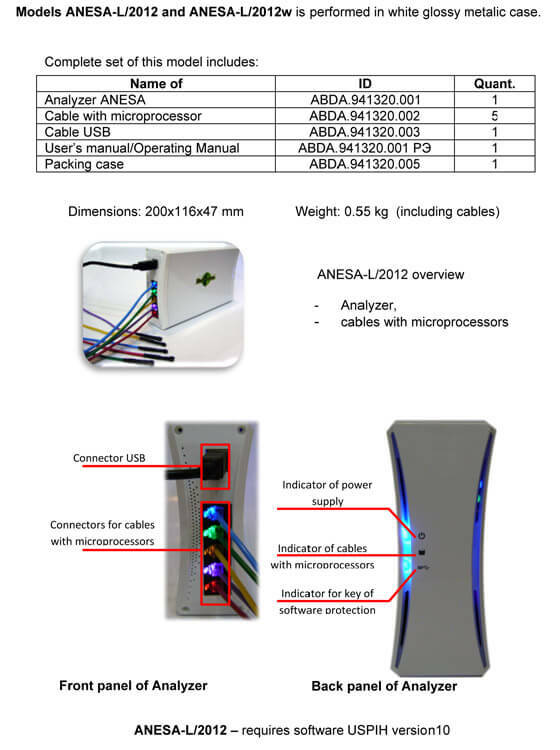 Weight of the ANESA analyzer is only 350gr for ANESA-L/2007 and ANESA-L/2012 and 3,5 kgs for ANESA-T/2009 and ANESA-T/2011. 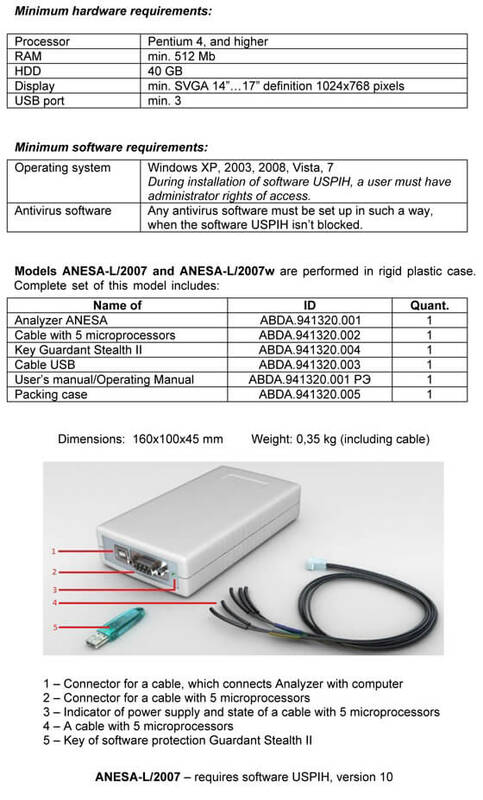 It is designed to work with any modern computer running WINDOWS-XP, WINDOWS-7, VISTA. Any doctor can pass special training courses and work with the device. At the end of the analysis the USPIH 10 software gives prompts to help the doctor to identify the diagnosis on the base of the 130 determined parameters, which have significant discrepancies over or under the norms and/or his knowledge and practical experience. If it is necessary, a doctor could prescribe additional diagnostics by traditional, well-known methods. 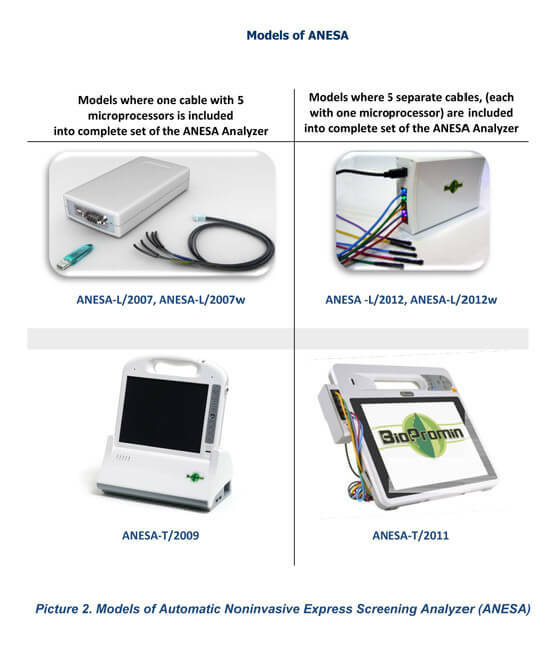 Automatic Noninvasive Express Screening Analyzer ANESA has no analogues in the world. Measuring and data processing are carried out by method of Dr.Malykhin. 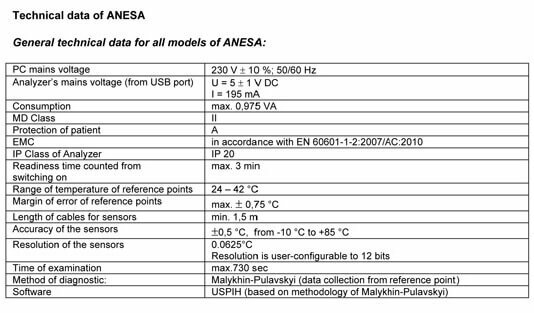 The ANESA analyzer (modernised model based on AMP device) has been certificated in European Union, Ukraine, Russia, China, Saudi Arabia, Vietnam and Egypt.